After such a rough Winter, Spring us upon us. Despite the random SNOW we got here last night in southeastern PA, I am loving the Spring weather. I love that my kids can play outside in the sunshine, dig in the dirt (give me strength), ride bikes and we can take walks together as a family. There is something wonderfully delicious about being outside. We soak up more Vitamin D, we breath fresh air, and we get in tune with nature. Head over to the Johnson and Johnson website for Earth-friendly tips this April. 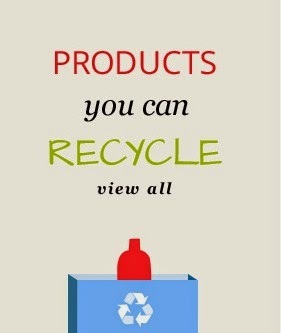 Did you know that there are a lot of things in your bathroom that you can recycle? Visit the Care to Recycle page to find some timely bathroom recycling solutions (I had no idea you can recycle caps!). Learn how to make an edible garden as well! Johnson & Johnson is giving back to the community with Donate a Photo. Share a photo through the Donate a Photo App, and Johnson & Johnson will donate $1 to one of the great causes you pick from this list. Causes like Water.Org, Operation Smile, Girl Up, Shot@Life and Keep America Beautiful are all great ways to give back not only to your community but the planet as well!